The fast-paced population growth creates a housing demand of 120,000 new units every year. The housing deficit has quadrupled in the last decade and, in the absence of adequate measures, the deficit is projected to increase to 8.5 million units by 2021. Ali lives in Korail, one of the biggest slums in Bangladesh. It is located in the centre of the city, next to one of the most affluent neighbourhoods. Korail is one of 4,000 slums scattered across the capital, where every 1 in 3 people live in slums. 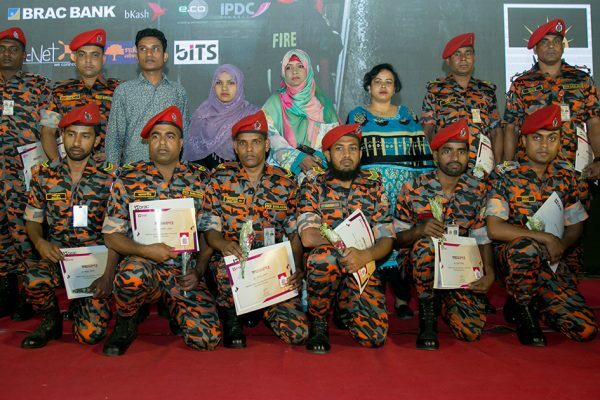 They are predominantly migrants, accounting for 60% of Dhaka’s total population growth. Ali shares an 80-square-foot unit with five other people. And this is not an uncommon sight. Korail has a population density of 322,000 people per square mile. There is no land tenure security (ie, enforceable claims on land supported by national regulatory frameworks) or access to basic amenities such as safe water and sanitation. It is overcrowded, and prone to major fires. Korail is an ‘informal’ neighbourhood, meaning it falls outside the perimeters of the city corporation. Here, the rent is unregulated and is imposed on low-income tenants by local ‘house owners’ with muscle power – who are essentially unauthorised rent-collectors of shacks/houses which are constructed on property owned by the government. In this informal economy, financial transactions amounting to millions of taka take place in cash every year. This is a huge drain on the economy. The money is being transferred in an environment where the government cannot track or tax payments, so there is no accountability and it is not being used for the slum-dwellers’ benefit. In this context, the amount of money being siphoned from thousands of such settlements is in the millions. Ali alone pays BDT 3,200 (USD 38) in rent to his house owner. He earns only BDT 5,000 (USD 62.50) a month by driving a rickshaw in the city. The inflated price is due to huge demand for housing in the neighbourhood, due to its proximity to more affluent areas where many residents earn their livelihoods. Combined with the lack of rent control in the slum – an informal and essentially illegal settlement – this demand for housing keeps the prices sky-high. These challenges highlight an opportunity for negotiating current practices and testing out models for urban development – an opportunity not only for the government but for private sector and social organisations alike. Urbanisation in Bangladesh is a reflection of prevailing global practices. At present, 4 billion people (54% of the world’s population) live in urban centres, while 1 billion people live in urban ‘slums’. This is a significant increase from the start of the 20th century when it was less than 15%. In light of ongoing urbanisation, this figure is expected to grow further. The Sustainable Development Goals acknowledge this growing concern and make provision for it in SDG 11: “Make cities and human settlements inclusive, safe, resilient and sustainable.” The government of Bangladesh has committed to realising this goal. They are also a signatory of the New Urban Agenda, the formal outcome document of the UN-Habitat III cities conference, held in Quito, Ecuador a year ago. The document, which guides national and regional policy makers, civil society, development funders and UN programmes on urban development, emphasises that housing is a right and a requirement for realising transformative social change. The government also has a National Housing Policy that guarantees ‘housing for every citizen.’ Therefore, it is in the government’s interest to upgrade slums and invest in low-income housing for people living in urban poverty. The National Housing Authority (NHA) has already piloted housing models including low-cost rental, social as well as community-led housing for people living in urban poverty. The government can build on this progress by creating inclusive master plans of cities and towns. The master plans must formally allocate space for low-income communities in the vicinity and also design and implement innovative people-centered housing solutions. However, this task cannot be tackled only by the individual efforts of the government. Working in slums requires an understanding of the complex dynamics in the social fabric of low-income urban communities. That’s why a nexus of investment, planning and strategy is necessary to achieve long-term solutions in the context of urban housing for low-income groups. BRAC redesigned and redeveloped over 500 homes in the aftermath of a devastating fire in Korail earlier this year. It was a collaborative effort that was successful only through a partnership with the government and stakeholders in the private sector, along with development partners like BRAC. Even though this Korail response did not present a long-term solution that guarantees land tenure security for the residents, it demonstrated the potential of collaboration amongst cross-sectoral stakeholders. Moving forward, a more durable solution would involve extensive partnerships between groups, breaking away from the traditional role of the development sector as an independent entity. Mainstreaming informal, low-income urban communities requires a broad vision which brings together all of these parties to work toward a holistic solution that combines their respective interests. 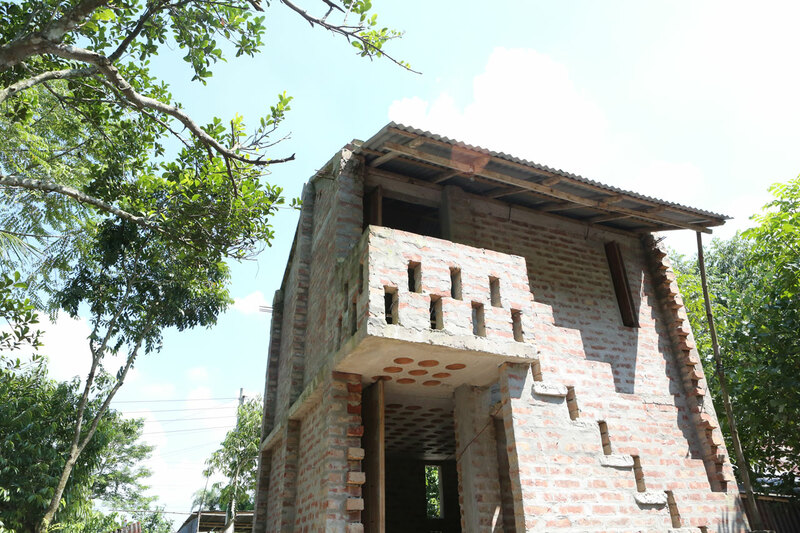 A dwelling in the community-led housing model in Jhenaidah in southern Bangladesh. In line with its national urbanisation strategy, the government should continue the formal process of building large-scale, low-cost rental/social/community housing on land that ensures tenure security for the residents. Land is scarce and of high value in Dhaka. A housing project in Dhaka can be in the form of a high-rise multi-story, which incorporates low-cost features that are innovative and environmentally friendly. High-rise buildings are the only feasible solution to such a large population density. Similarly, in lower density secondary cities, some fantastic community-based housing models have emerged that need effective scaling – for instance, the community-led housing model in Jhenaidah and the National Housing Authority’s low-income community housing support project. Financing remains a key bottleneck in scaling these initiatives. Financial institutions are typically limited to providing loans for projects that are perceived to have the potential to generate income. Likewise, private developers are interested only in constructing projects that can be profitable. That’s why the implementation process for housing projects should involve public-private partnerships. The government has a separate house-building finance corporation and an allocation for low-income housing in the national budget. These resources should be combined with private channels of funding, including local finance corporations and international donor bodies such as the World Bank and IFC. After a housing construction project is completed, investors’ costs can be recovered by rent paid by residents. In short, it’s not charity; there is financial viability in this sort of low-income housing initiative. BRAC is working at the grassroots level to provide insight into how an ever-growing urban landscape can also provide more livable solutions. 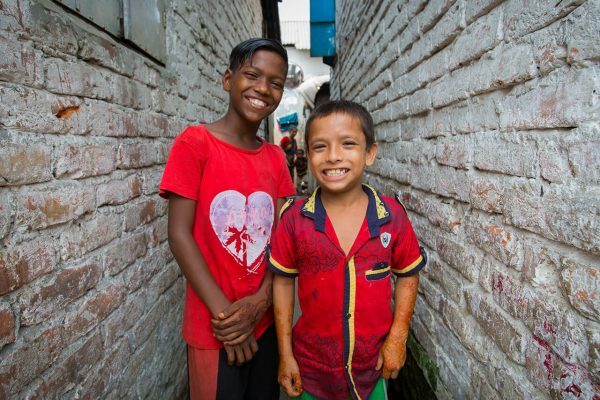 Its Urban Development Programme (UDP) operates in slums in 20 city corporations and municipalities across Bangladesh. BRAC as an organisation has the capacity to mobilise people at the bottom of the pyramid to solve housing challenges: It can conduct needs assessments and identify client households and communities. It can provide input into how a project can include marginalised communities, as it has direct experience through extensive fieldwork. 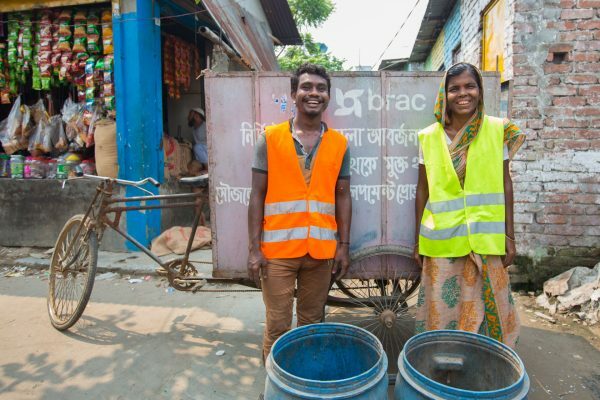 BRAC is also capable of initiating behaviour change among its clients who are living in urban slums – a requirement for them if they are to transition into affordable housing. Advocate for inclusion: Low-income settlements must be included in official master plans of cities and towns by city planning authorities. Make city planning more inclusive through a participatory approach and the allocation of land for housing for low-income groups. Strengthen institutional capacity: Local government bodies, city corporations and municipalities should be given the responsibility to identify, develop and manage government-owned land, portions of which can be allocated for low-income housing. Prioritise ‘community savings’: Housing schemes need to shift from ‘donor-driven’ housing projects to ‘owner-driven’ ones. Negotiate long-term low-interest housing loans: Financial instruments such as international donors, government and private institutions can be used as a reference to generate viable schemes for people living in urban poverty. Emphasise greater collaboration: Ensure that inter-ministerial efforts, partnerships with funding agencies, joint initiatives between city authorities and development partners, collaborations with professional agencies, etc. are all working toward the same solution. Encourage private developers: Private construction companies can consider low-income housing projects as a business model in and of itself. Adapt learnings and best practices: Existing low-cost affordable housing models already implemented in Bangladesh and in the region can be used as a model for future development. Clearly, this is easier said than done, and the work has only begun. But it’s encouraging to see that the country’s public, private and development sectors are moving in the right direction. Asif Saleh is the senior director of strategy, communications and empowerment for BRAC and BRAC International. Mahira Khan is manager of knowledge management and communications for BRAC.